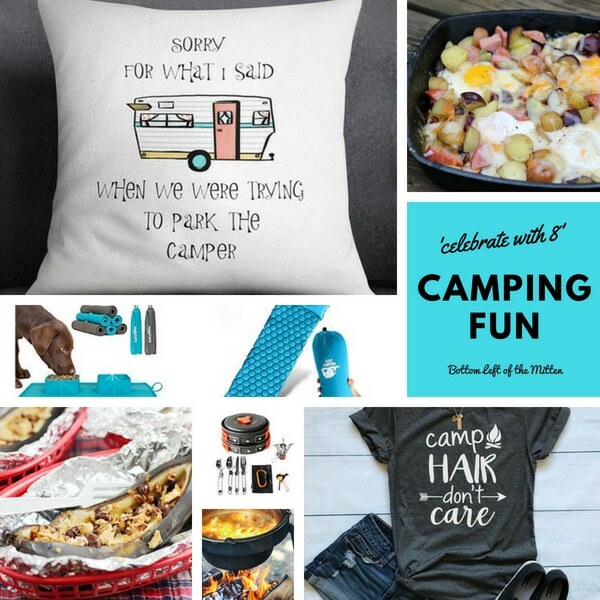 ‘Celebrate with 8’ Camping Fun treats from food to accessories. 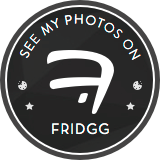 Learn more about ‘Celebrate with 8’ on Bottom Left of the Mitten here. Heading out into nature is a time to sit back, relax and just be you. 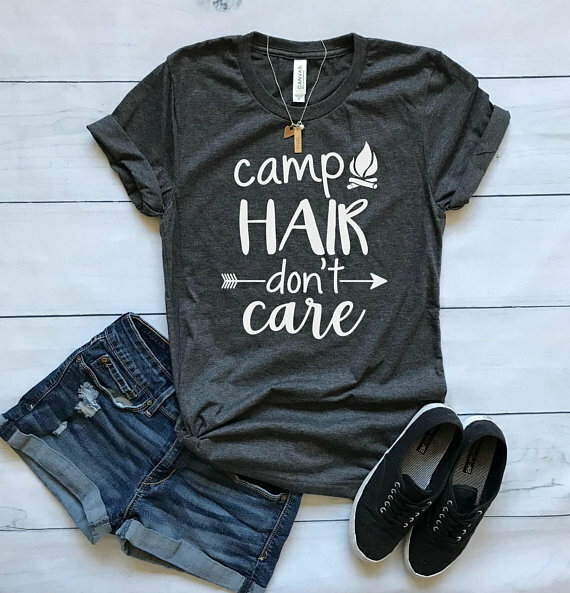 This adorable ‘Camp Hair Don’t Care’ shirt from MittenMommaCreations lets you choose between a t-shirt or long sleeve and different colors to customize your camping look. 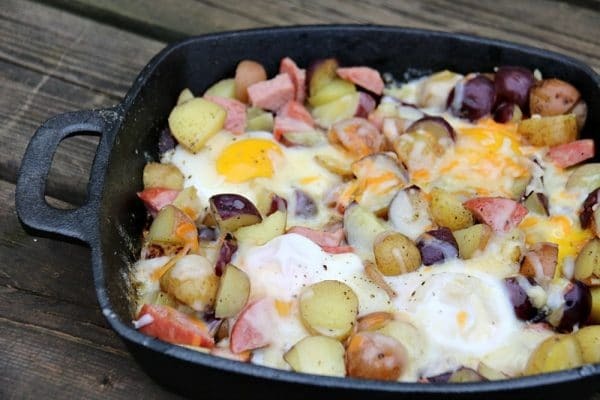 Wake up to a perfect morning with this Camping Breakfast Skillet from Family, Food & Travel. Full of stick to your ribs meat, eggs, potatoes, and cheese to get you up and at em’ for a full day of adventuring. This 17 piece Camping Cookware Mess Kit has everything that you need to get your grub on! Who needs a kitchen when you’ve got a campfire. Have lots of people congregating at your campfire for dinner? 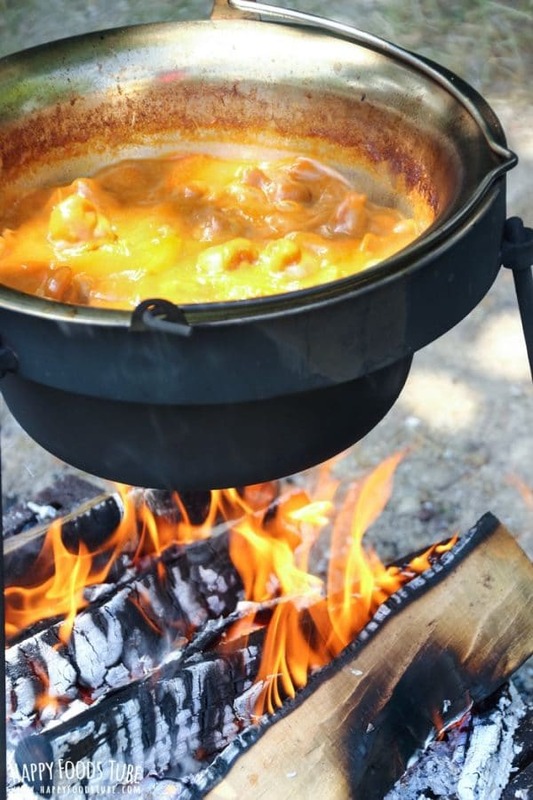 This Simple Campfire Stew from Happy Foods Tube is easy and delicious and the perfect recipe to feed a crowd. Need to make a cozy spot for the night? Check out this Legit Camping Sleeping Pad Camping Mat. Easy to fill up and your ready for a great nights sleep under the stars. 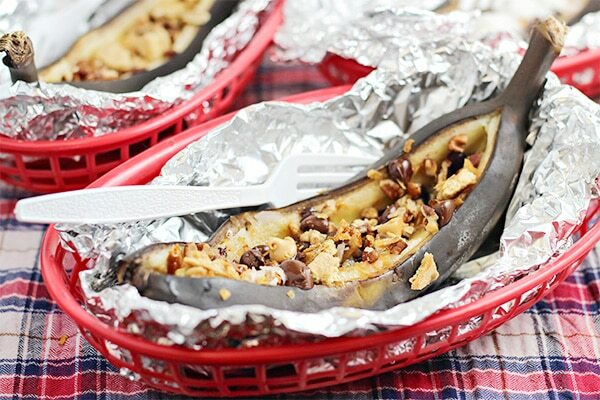 These Easy Grilled Banana Dessert Bar Idea from Home Cooking Memories make the perfect ending to a great day at the campsite. Everyone gets to add their own topping for a one-of-a-kind treat. Your not the only one that likes to camp so be prepared with this Travel Roll Up Bowls and Mat for your best friend. Collapsible and rolls up for easy storage. Who with a camper hasn’t had this conversation before? 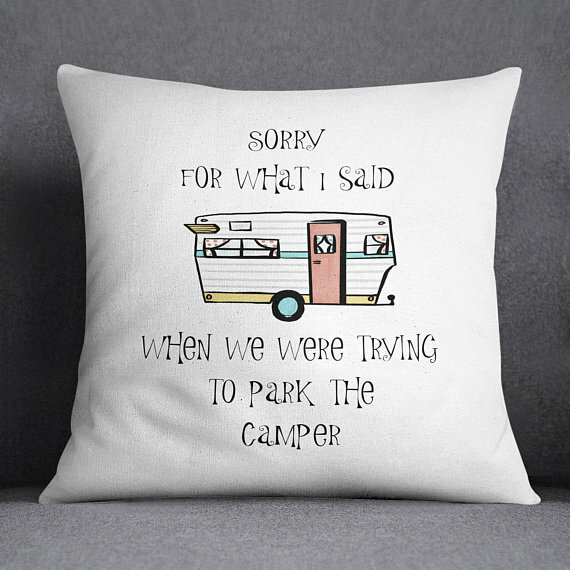 This Camping pillow from PeachyKeener is a super cute way to add a little humor to your trip. Camping season is short so get going. Celebrate.